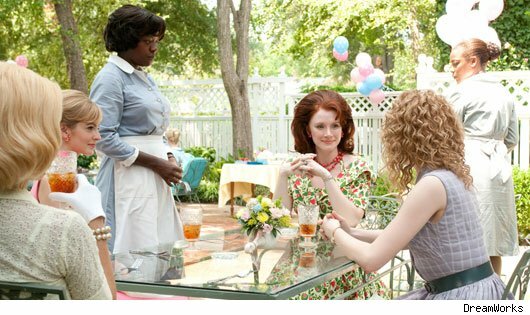 Last week, I finally saw the film version of “The Help,” based on the best-selling novel by Kathryn Stockett about the lives of African-American maids working in white people’s homes in 1960’s Jackson, Mississippi. I hadn’t read the book prior to watching the movie which I really loved. Although the movie showed the racist and unfair treatment of primarily black women at the hands of their white employers, I am sure there were much worse stories the movie did not go into. In fact, just bringing up the topic of the rampant verbal, physical, and mental abuse people inflict upon their domestic help on my Facebook page brought up stories from Dhaka to Potomac, Maryland. Both before and after the movie, as a Bangladeshi I could not help but let my mind wander beyond the racially segregated America of the 1950’s and 60’s to modern day lives of domestic servants back home. Domestic servant abuse, primarily of female maids but of men and children as well, is so rampant back home that it is practically considered cultural. Every now and then you’ll hear a story of how someone you know beat their servant so badly he or she ended up in the hospital. And although you may get a gasp here or there as a response, it is largely accepted as a normal part of life. Very rarely do the police get involved and in the rare cases that they do, “justice” is always on the side of the employer. In Bangladesh, and in the Sub-Continent at large, people consider the people who work for them their disposable property to an extent. Try Googling the term “domestic servant abuse” and the majority of results that come up cover the abhorrent abuse of foreign maids, mostly from countries in South Asia, in Middle Eastern such as Lebanon or Saudi Arabia. But the truth is the workers are equally abused in their home countries which they often flee for lack of jobs in hopes of finding employment abroad. Instead the majority of domestic workers who go to the Middle East to work and send money to their families back home not only end up facing unimaginable abuse at the hands their foreign employers, but also end up not being paid for months. The sad reality is that situation for them staying in their native countries is not any better. While watching how black maids were not allowed to use bathrooms in the homes of their white employers, one of whom made her maid, Milly go out in a tornado to use the outside bathroom, was shocking the reality for modern day domestic help around the world is much worse. It goes beyond serious issues of violence against women and modern day slavery. And until we start treating it and talking about it as such, it will only continue. *This post of mine was also published on Forbes Woman. amazing Blog, I love this stuff.